In order for any plant to reach its full genetic potential of producing the beautiful foliage, flowers or fruit its programmed to create, it must be provided with everything it needs in just the right proportions, and, at just the right time. With the science of hydroponics, this is possible by applying proper watering and feeding regimens, environmental control and plenty of quality lighting. While the literal meaning of hydroponics is nothing more than feeding plants while irrigating (U.S. farmers call it "fertigation"), its definition has expanded to include all the aspects mentioned above as they apply to growing the perfect plant. While the definition of the hydroponics has expanded, misinformation also persists. 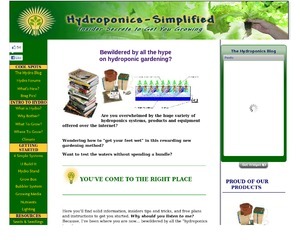 Many people still believe hydroponically grown plants are fed "steroids" or other dangerous chemicals to force them to grow so well. In fact, hydroponic growers are simply "allowing" plants to reach their full genetic potential by carefully providing for their needs as nature is sometimes unable to do. The idea of growing a perfect plant has different meanings for different people. For instance, an orchid fanatic may define the perfect plant as being of a certain rare variety, color or symmetry. For a commercial tomato grower, the perfect plant may be a variety that grows fast, resists disease and yields tasty fruit with a long shelf life. The orchid grower isn't looking to produce orchids in the same fashion as the tomato grower. 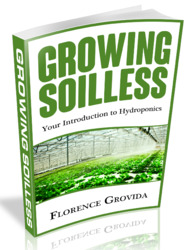 But in both instances, by applying the principles you will learn in this book, both can achieve unrivaled success by using hydroponics.